For wheelchair users, approaching rough terrain and sloped ground, it is truly a troublesome journey. Apart from that, there is always the fear of having the wheels stuck which is difficult to maneuver. As such, one needs to get help. Force EMS provides Non-emergency Transportation in Texas which can help them traverse places with convenience and safety. Accessing the public transit poses a nuisance since not all transport vehicles are wheelchair-friendly. 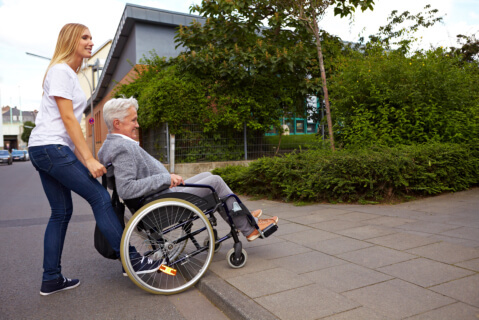 One may hire a Medical Transportation Services for easy transport in going back and forth to home, attending social occasions and doctor appointments, instead of utilizing public transportation. A wheelchair-bound person has limited capacity to do extra movements and when pain is experienced, they have no choice but to stay in place. Having to sit all day, it makes them more prone to cardiovascular diseases and other conditions associated with inactivity. From time to time, it is important to have health checkups to ensure they are in good state of health. In that case, a Medical Transportation in Longview, Texas can be very helpful. This entry was posted in Wheelchair-Bound Patients and tagged health checkups, Medical Transportation, Transportation Services. Bookmark the permalink.